Silver’s vision cumulatively amounts to a dark, desperate down-and-out world, a Los Angeles of her own making, where the elusive instances of human connection are all too rare, and therefore all the more luminous. Magnificent…(Silver’s) writing stings, but the pain is good. How well Marisa Silver writes about her n’er-do-well characters, and how cunningly she invents their lives in these glittering stories. Babe in Paradise is a passionate and memorable debut. Energetic, inventive, and intensely dramatic, these fine stories illuminate unexpectedly dark corners of the American dream. A very impressive debut from a writer of striking talent. 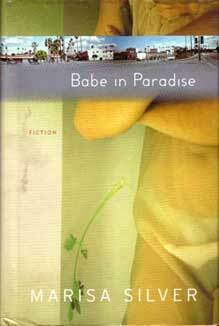 I loved reading Babe in Paradise. Marisa Silver’s talents are wide-ranging, and her authority considerable. L.A. needed someone to reveal its complex, beautiful underpinnings. Here she is. …a writer with a keen eye for alienation, and an ability to pinpoint the surprising ways that even the most disaffected among us are brought together. When it comes to the small moments – the frustrations and regrets of daily living – Silver’s work is powerful and heartfelt, and nowhere more than in the relationships she depicts between parents and children, which she traces with savage grace.